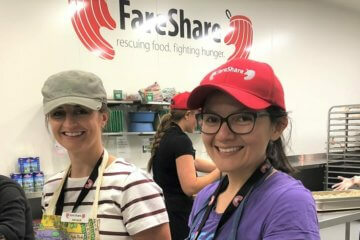 FareShare has teamed up with fruit and milk delivery company The Fruit Box Group to distribute 25,000 boxes of fresh fruit, vegetables, milk and bread to families in need. 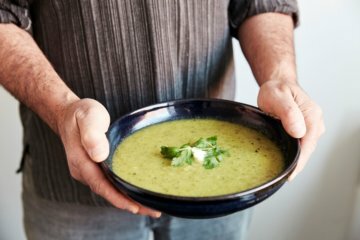 The One Box initiative targets 1,000 families who are struggling to afford healthy food with each one receiving a box of fresh produce every week. Since launching in May, The One Box program has provided 10,000 boxes of fresh food to the value of $25 to families in need. Donated by The Fruit Box Group and delivered by FareShare, the boxes are making a real difference according to the charities which hand them out. 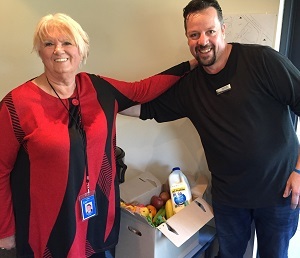 FareShare has set up a new run to deliver the donated food to charities supporting families in acute need including Kingston City Church, Mullum Mullum Indigenous Gathering and Fawkner Community House. The Fruit Box Group is investing up to $400,000 in the Melbourne pilot and aims to expand the program. The impact of the first 25 weeks of The One Box will be assessed by La Trobe Business School in November. 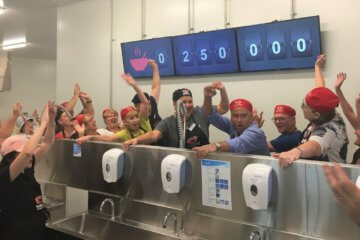 The Rotary Club of Balwyn has keenly supported FareShare for nearly a decade and we are grateful to its members for getting behind this exciting new initiative.